The path to owning a home can be exhilarating, but also complicated. For any successful real estate transaction to occur, several vital steps must be executed, to include working with a well informed Real Estate and Loan Professional. Deciding who to work with: We believe that choosing the REALTOR® and Loan professional you work with is one of the most important decisions in the early stages of the home buying process. The Individual’s you choose must guide and lead you through this complex process of looking for the right home, conducting neighborhood research, analyzing home prices, negotiating with sellers, signing documents, Loan submission, Loan conditions and management, among other things. We also believe that you must work with someone you trust and like, We have built our reputation on friendships and over multiple transactions with our past clients, we are a committed and experienced team ready to handle your real estate transaction as fast or as slow as you need! Get an Education: Being informed and understanding the buying process is very important, and every buyer requires different levels of information in order to feel ready and prepared to buy a home. Our system and resources are set up in that we provide a service that is set up for individual needs; we work on the same level as you to insure you fully understand the good and the bad to every decision. Get Pre-approved: We will pre-approve you in Step 2 of our Home Buying Process and will help you determine what price range you can afford and issue a pre-approval letter, which demonstrates your buying power. Our reputable loan officers will provide you with a copy of your credit report and credit score and if needed attempt to help you resolve any errors or other credit issues that might impact your ability to obtain the best loan and interest rate possible. Finding a Home: Using the services, knowledge, and expertise of our team, to establish your priorities for size, location, and style, and start shopping for a home that fits your lifestyle, budget, and long-term goals. Making an Offer: When you find the home that’s right for you, we will work with you on Price and conditions of the contract and will advise you on neighborhood market conditions. In today’s market most of the listing inventory is either Bank Owned or Short Sales, and your offer has to be submitted with special forms and information. Deposit: When you write an offer, you may decide to provide a “good-faith” deposit showing the seller your intent to buy the home. 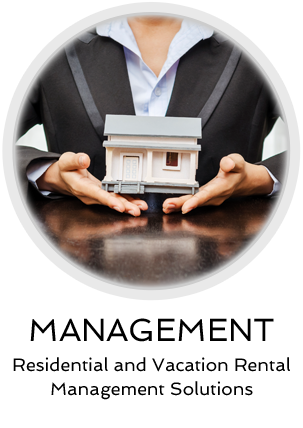 Get the Loan: Once you’ve selected a home and you and the seller have agreed upon a price, we will move forward on a loan that best suits your immediate and long-term needs. Hire an Inspector: A home inspection is recommended in order to reveal structural and other issues with the home that you may want to address before completing your purchase transaction. We have provided information on our Other Services page that may assist in finding an inspector right for you! Closing the Deal: Wrapping up your purchase transaction may include meeting with our agents to conduct a final walk-through of the property, signing final documents, and getting the loan funded, among other things.